Home inspections began as a consumer service in North America in the early 1970’s as a response to the growing demand from home buyers to learn about the condition of a house prior to purchase. As a consumer, retaining the services of a member of Home Inspectors Association BC to perform your home inspection assures you that you are hiring a licensed professional with proven ability, experience and impartiality. HIABC has a stringent membership process including education necessary to successfully complete our membership exams, field training, reports for verification and Peer Reviews. Members are provided with ongoing educational seminars and member forums to keep them up to date with current information. Hiring an HIABC licensed professional can give you peace of mind and help you make a confident and informed buying decision. Home inspections began as a consumer service in North America in the early 1970’s in direct response to the growing demand by home buyers to learn about the condition of a house prior to purchase. It is a unique discipline, distinct from construction, engineering, architecture, or municipal building inspection, and as such requires its own set of professional guidelines and qualifications. Formerly known as CAHPI(BC), in 2016 the membership voted by a large majority to discontinue its relationship with CAHPI(National), receiving approval for a name change to Home Inspectors Association BC (HIABC). HIABC Charity Funds in the amount of $10,000 will be donated live Sunday, June 4th as part of Miracle Weekend, a two-day celebration broadcasted live on Global BC, showcasing the best of Children’s Hospital and celebrating the fundraising efforts undertaken throughout the year. With thanks to our generous home inspector members who have contributed at our events through 50/50 draws and direct donations, we will be helping meet the most critical needs of children from across the province through groundbreaking research, life-saving equipment and essential programs. Since 2009 our members have donated over $23,000 to this charity. Our members generously give back to their communities. HIABC responds to Consumer Protection BC’s diluted regulations for new home inspectors entering the industry by assuring the public that HIABC inspectors will follow more stringent requirements to ensure the confidence of the BC consumer. Phase 1 introduced September 1, 2016 by Consumer Protection BC (CPBC) with new BC Government regulations for the inspection industry lowers the bar for incoming home inspectors. Consumers must be aware that inspectors coming into the industry are required to have reduced qualifications to be licensed in BC. Home Inspectors Association BC working to bring this to the attention of CPBC and Government, requesting an immediate review. Phase 1 eliminates the legal requirement for a licensed home inspector in BC to belong to a professional association. Consumers can no longer be assured that their home inspector has the necessary oversight provided by a professional body. Home buyers and sellers can be confident of the highest quality home inspection when choosing an inspector belonging to HIABC. Mandatory continued education for BC home inspectors has been dropped from the September 1, 2016 regulations. HIABC continues to make annual continued education credits mandatory within this association. New BC regulation of the home inspection industry approves Home Inspectors Association’s CHIE (Canadian Home Inspection Exam) for use in British Columbia. This state of the art online exam allows for exam proctoring throughout the province. 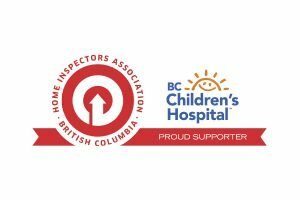 CAHPI(BC) officially changed its Society name to HOME INSPECTORS ASSOCIATION BC. In a referendum with 296 voting members of CAHPI(BC), an overwhelming majority voted in favour of discontinuing our relationship with CAHPI National. Following a year of formal collaboration with the University of British Columbia, CAHPI(BC) introduces an online home inspection examination, deliverable throughout the Province. The Canadian Home Inspection Examination (CHIE) allows for more accurate, more precise and verifiable exam testing and sets the highest standard for competency in the home inspection industry. CAHPI(BC) works closely with the provincial government throughout the consultation phase to strengthen home inspector licensing in British Columbia. We have promoted enhanced rigour in both home inspection standards and training, to better protect consumers making the significant financial investment that the purchase of a home represents. CAHPI(BC) hosts information sessions for public and industry stakeholders to gather information related to the 2014 review of the CAHPI Standards of Practice. This dialogue is a continuation of CAHPI(BC)’s ongoing effort to improve the home inspection professional and meet the needs of consumers. Newly elected BC Premier, Christy Clark adds review of the home inspection industry regulation to her election platform, then mandates Minister Rich Coleman the job of overhauling the industry legislation. This follows repeated correspondence to the Government from CAHPI(BC) demanding higher standards and educational criteria for new inspectors to ensure the BC consumer of professionally trained and reliable home and property inspections. We are excited to announce that we are nearing completion of a formal collaboration with the University of British Columbia (UBC) on a research program to develop more rigorous proficiency testing for home inspectors that is more accurate, more precise, verifiable, and deliverable throughout BC and that will set the highest standard for competency in the home inspection industry. An extensive 5 year review of the 2008 National Occupation Standard (NOS) has been completed. This update reflects current realities of the profession and provides additional guidance on performance standards, learning requirements and personal attributes leading to success in the home and property inspection industry. This revision represents the third edition of the standard, first published in 2001. The occupational standards describe the skill, knowledge and abilities required to perform the duties of a professional home and property inspector, and form the basis for training; curriculum development; accreditation of training programs, recruitment; performance improvement, and the certification of practitioners. CAHPI(BC) initiates recommendations to Consumer Protection BC for tougher criteria for new home and property inspector qualifications. We continue to make every effort to ensure that every home inspector in this Province is trained to the highest standard. CAHPI(BC) Spearheads Research Program to Develop Exacting Home Inspection Examination with the University of British Columbia. This is the commencement of a formal collaboration with UBC on a research program to develop more rigorous proficiency testing for home inspectors that is more accurate, more precise, verifiable, and deliverable throughout BC and that will set a new, higher, standard for competency in the home inspection industry. CAHPI(BC) signs Cross Canada Inter-Provincial Labour Mobility Agreement. The CAHPI inter-provincial Labour Mobility Agreement was formalized at the 2012 CAHPI National Conference in Halifax in October. This agreement, signed by all provincial/ regional CAHPI associations, affirms a CAHPI inspector member is granted unencumbered access to employment opportunities in their profession in any Province, including BC. CAHPI(BC) membership approves new Standards of Practice and Code of Ethics at December 1st QGM. CAHPI(BC) meets with other home inspection associations to come to an agreement on new inspector training qualifications. We believe the current criteria set by CPBC needs to be more stringent. CAHPI(BC) appoints Registrar, Helene Barton as Executive Director at April 2010 Annual General Meeting. CAHPI (BC) membership enrollment increases to over 300. CAHPI(BC) hosts the 17th Annual CAHPI National Conference in Kelowna. January 30th. Solicitor General John van Dongen announces regulation of the home inspection industry in BC. All home inspectors will be required to be licensed by the Consumer Protection BC as of April 1, 2009. June 19th. Minister van Dongen attends CAHPI(BC) Spring Conference in Victoria and is personally thanked by CAHPI(BC) membership for his efforts in the regulation of the home inspection industry. CPBC representatives attend the meeting to discuss their role in the process. CAHPI(BC) launches new “Legal Benefits Plan” brochure. Honourable John van Dongen, Minister of Public Safety and Solicitor General, speaks at CAHPI(BC)’s September 20, 2008 Quarterly General Meeting. Bill Sutherland, RHI, CAHPI(BC) President 2004-2008, elected President of CAHPI National. CAHPI(BC) hires Helene Barton as Association Registrar in February. CAHPI(BC) opens new office at 5-3304 Appaloosa Road, Kelowna with the official opening on June 1. CAHPI(BC) exams now proctored in-house in new office’s boardroom. The National Certification Program for home inspectors is now active in B.C. Information on National Certification Program (NCP) is put on CAHPI(BC) website. CAHPI(BC) representatives meet with Solicitor General, John Les and provide a legislation package at no cost to the government. CAHPI(BC) Government Liaison Committee meets with Minister Coell to discuss legislation for the Home Inspection Industry. CAHPI(BC) launches their new customer brochure at the April 23, 2005 Annual General Meeting. Vince Burnett, RHI is the recipient of the first CAHPI(BC) Presidents Award. CAHPI(BC) launches a pre-election public relations campaign and gains phenomenal support for legislation of the Home Inspection Industry from municipal governments and Chamber of Commerce offices. CAHPI(BC) launches the Legal Benefits Plan, providing an alternative errors & omissions claims coverage for members. CAHPI(BC) hosts the 2004 CAHPI National Conference in Whistler, with inspectors from every province, two territories and the US in attendance. CAHPI(BC) meets with the BC Safety Authority to discuss electrical service reviews performed by CAHPI(BC) members. CAHPI(BC) participates in Phase 2/3 of establishing a National Standard for Training and Certification of Home Inspectors. Government Liaison Committee goes to Caucus on April 10, 2003. New CAHPI(BC) website released to public. CAHPI(BC) creates Registered Home Inspector (Retired) membership level. CAHPI(BC) invited to participate as member of the CSA Technical Advisor Committee of Standards Development for Shakes and Shingles. Government Liaison Committee (Larry Hipperson, Owen Dickie and Rose Marie Moore) meets with Hon. George Abbott, BC Housing Minister to discuss “Rights to Practice” issues. CAHPI(BC) releases its first Newsletter “[email protected]”. Occupation Standard completed and released to the public. Approval of funding for application for Phase 2/3 funding approved at the CAHPI national level. This is to include curriculum development, certification processes and the Standards of Practice. Approval of revised format from one two-hour meeting, a month to a daylong training session and business lunch every three months. First meeting under revised format to occur in January 2002. First complete Policy Manual adopted by CAHI(BC). First CAHI(BC) regional Meeting held in the Kelowna with 14 of a possible 18 members present. CAHI(BC) Members approve a Resolution to change the name of the Society to the “Canadian Association of Home and Property Inspectors (BC). Both CAHI(BC) and WAPI (Western Association of Property Inspectors) approve new Purposes and By-Laws for the amalgamation into CAHPI (BC). CAHI(BC) and WAPI amalgamate into CAHPI(BC). This is the first successful amalgamation of provincial home inspection associations in Canada. At the national level, funding is approved to develop an Occupational Standard. CAHPI(BC) is one of the major contributors of funds and committee members. CAHI(BC) Certification Exams adopted by Manitoba, Alberta and Saskatchewan. CAHI(BC) Exams now the most widely used certification exam in Canada. CAHI(BC) hosts CAHI National Educational Conference in Victoria. Work continues throughout the year on CAHI(BC)/WAPI Amalgamation and development of a national standard for home inspections. CAHI(BC) Certification Exams shown to Home Inspection Associations across Western Canada. CAHI(BC) and WAPI participate in national meetings in Toronto to review the December 1996 meeting reports. CAHI(BC) and WAPI participate in a meeting in Edmonton to form a committee to establish national standards for the home inspection profession. An agreed principal is that there will only be one organization in each province. CAHI(BC) and WAPI agree to begin negotiations to amalgamate. CAHPI(BC) begins use of it’s own certification exams. CAHI(BC) and WAPI participate in national meetings in Toronto to discuss a National Standard for Home Inspections. BC Registrar of Societies issues and Occupational Title Protection Certificate to CAHI(BC) for the title “Registered Home Inspector” and initials “RHI”. CAHI(BC) establishes province wide phone line 1-800-610-5665 (1-800-610-LOOK). CAHI(BC) hosts the International CAHI/ASHI Mid-Year Conference. CAHI(BC) establishes a full time office in Kelowna BC. CAHI National evolves into “Association of Associations” with CAHI (BC) representing home inspectors in British Columbia. Representative from CAHI(BC) meets with CMHC in Ottawa to discuss the future of the Home Inspection Industry in Canada. First policies adopted by CAHI(BC) Executive. The Registrar of Societies who issues Certificate of Registration number S-30216 accepts the Purposes & Bylaws of the Association. Canadian Association of Home Inspectors (British Columbia) name registered with Province of BC.